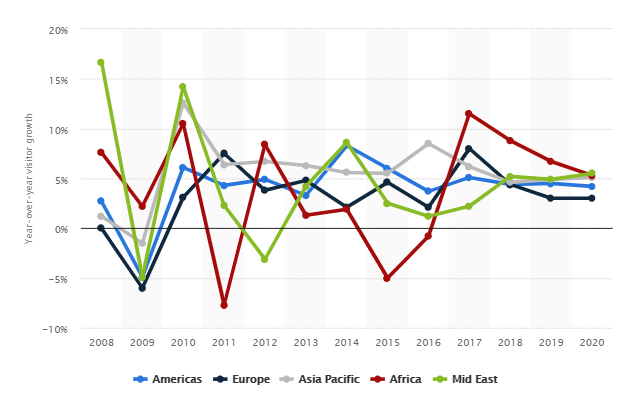 According to Statista, the tourism industry grows steadily each year. What this means, is that although the industry is saturated, there is still need for hotels, guesthouses and B&Bs, all over the world. 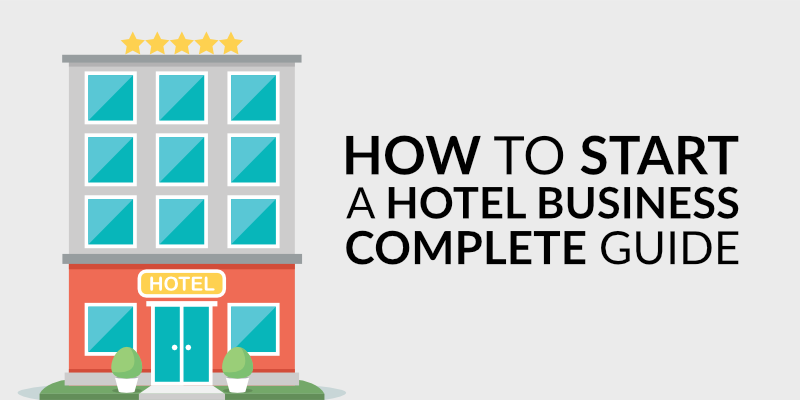 Armed with the knowledge that the industry is growing, if you follow the steps in this article, you’ll have all the arsenal you need to do start a hotel well and generate a profit fast. 1 What type of person should you be? 2 What makes a successful hotel? It goes without saying that someone who starts a hotel, has to have the mindset of an entrepreneur, but to be successful, hotel owners require something extra: a desire to serve. This is because the hospitality industry is known as the industry who most understands customer service, and for your hotel to thrive, you need to be someone who relishes serving others naturally. While you may not directly interact with your guests, your attitude filters down through your top management, right to the ground staff. A successful hotel is always born from the culture of it’s top management, and the culture of top management is always born from the owner. What specific qualities do owners of successful small hotels usually possess? What makes a successful hotel? Marriott International group of hotels are some of the most profitable hotels in the world. What makes a successful hotel depends on its target audience and what appeals to them, but overall, it’s all about the experience. If your hotel caters to families, then you have to make sure that all family members can be kept satisfied and happy. On the other hand, the world’s most luxurious hotels may boast ornate furnishings like the hotels listed in the Forbes Travel Guide, and their guests, often from pampered backgrounds and used to the very best, will demand high calibre services that the more average hotel wouldn’t usually consider. Their staff are highly trained and authorised to do whatever it takes to satisfy a guest, because the reputation of the hotel depends on it. 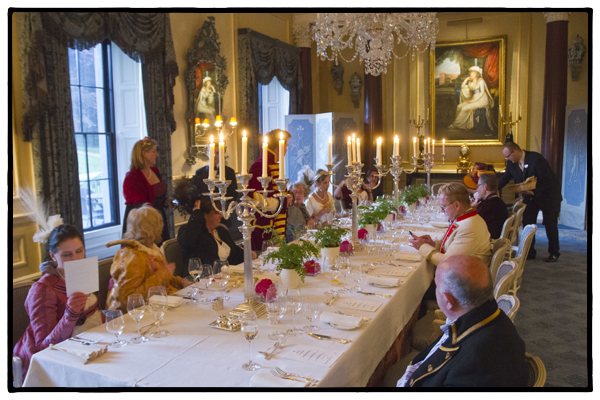 In addition, through exceptional service, staff have been known to create scenarios that have so delighted guests, the hotel has enjoyed positive publicity. A tanning butler at the Ritz Carlton South Beach Miami. The tanning butler’s duty is to patrol the pool deck area to help guests apply sun lotions. The luxurious Hotel deLuxe in Portland caters to people who consider their pets family; not only is the hotel pet friendly, but they also offer everything guests need for their pets to stay with them, and boast a pet psychologist. 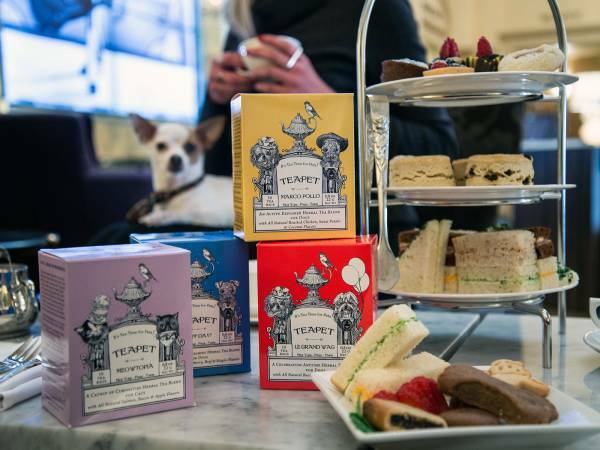 The Lowell in New York City takes it a step further by offering room service for pets which includes doggy ice cream. 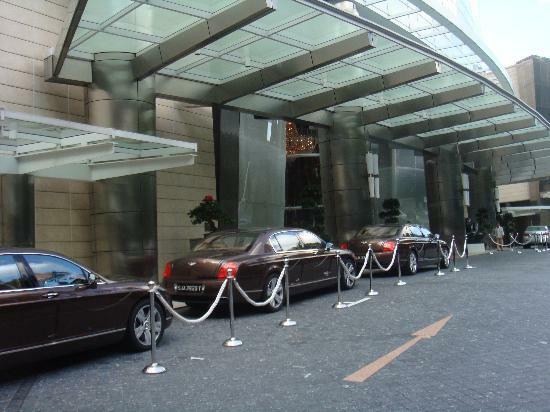 St. Regis in New York City offers a free Bentley car service to guests needing transport in a 10 block radius of the hotel. Ballyfin provides a costume department and photo shoots pre-dinner. Now, these are examples from some of the world’s most luxurious hotels, but what if you don’t have the money to start at that kind of level? Start by booking out a room in your own home. The key to making this work is to either make students your primary market so that affordability attracts them, or to offer a unique experience. For example, if you live in a rural area that has been in the news, like Soweto in South Africa, then you can offer a room in a house there, with a UVP of something like, “experience Soweto first hand”. Once you begin making money by booking out a part of your home, you can begin to grow, offering more services as you expand, and eventually, setting up a full-fledged hotel. Try the AirBnB way of instant hotelliering. Hire out your home or other property you own; when it gets booked, move yourself to cheaper accommodation so that you still make a profit. Make sure the pictures of your home are appealing. Once you start making money from regular bookings, you can work out an alternative solution. The key is just to get started. Hire a business capital broker who has networks of contacts and investors. If you have some money, find cheap land in a good location, like 19 and 21 year old brothers Lucas & Travis Boychuk did in 2008 in order to build an action sports resort in 2014. Today, Surf Ranch is a 19 condo action sports resort, with restaurant, swimming pool plus island and swim-up bar, and is known as the largest skateboard park in Nicaragua. Although it’s possibly the longest step in starting a hotel, the plan is your foundation, because not only does it determine the success of your hotel and it’s launch, but it also eliminates wasting time. If you don’t have a plan, you won’t know where you are going, and you’ll find yourself constantly on the back foot, taking one step forwards and two back. In addition, without a business plan, no one will fund your idea, or invest in it. So firstly: what is your dream? Take time to visualize what your dream looks like. Use all your senses to imagine how your hotel looks, feels and smells. You’ll know in your gut when you’ve hit the sweet spot of what you want to achieve, and when that happens, planning can commence. The first phase of starting your own hotel is research. It also forms the bulk of the work to be done before you can start thinking of the fun stuff, like the actual hotel and operations. However, the research is what will determine your launch and marketing success and must not be avoided. It is essential to intimately understand your primary target market. You can not start a hotel without first knowing what your market wants, and you cannot go into creating a great guest experience if you plan to simply cater to all and sundry, because each target market’s needs vary. As such, all their staff are trained in health and wellness and their facilities wholeheartedly center around health. This hotel will only attract people who are into health and fitness, while people who prefer eating McDonalds to green smoothies are not likely guests. It’s a great way to separate their brand to other hotels who are not focused on health. With that said, will you target families, business people, or the wealthy? Each of those groups will have different needs and if you don’t know what they are, your hotel will not appeal to them. People who want to enjoy romantic activities together will not appreciate being in an environment where kids are running amok. Guests who enjoy a healthy lifestyle may need vegetarian meal options. Your marketing plans will also require a very good understanding of who your audience is, because you can’t begin to market to the right people if you don’t know what’s going to get their attention. There are three ways of finding your ideal target market. The first is to base your hotel on the type of people you already know best, the second is to find out the types of people that would most be attracted to the kinds of things your hotel plans to offer, and the third depends on location and what types of people are drawn to what’s on offer in the area. It would be helpful to have already established your UVP – Unique Value Proposition – by this stage (we’ll get into it later in the article). Gather information about your ideal audience by having conversations with competitor guest-facing staff, or creating surveys aimed at the hotel staff of competitors, social media channels (analyze competitor information on their social media channels), surveying people you would consider your target audience and checking out competitor reviews on sites like TripAdvisor.What you want to find out is what motivates your audience to choose specific accommodation. 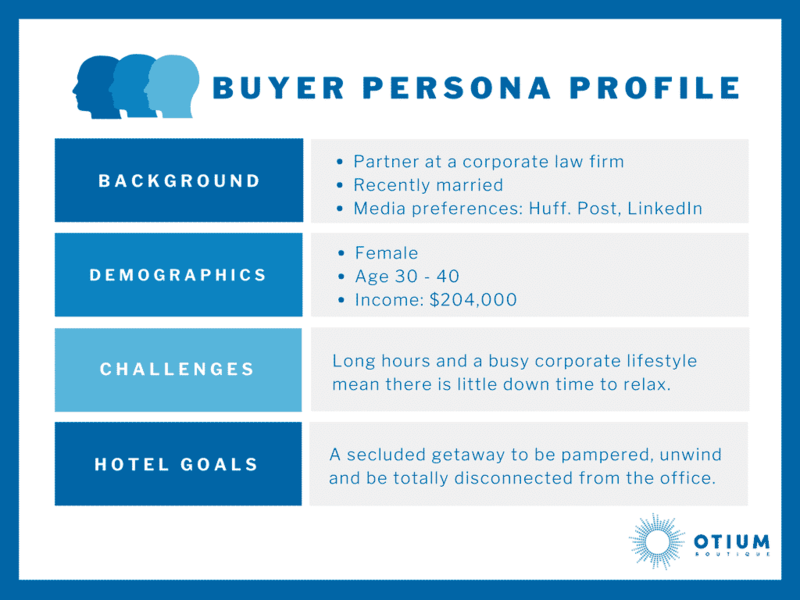 Create a detailed guest persona. Location plays a huge role in the success of your startup hotel. Probably the two most important elements to generating revenue, is location and marketing, so location is key. The JW Marriott Las Vegas Resort & Casino is close to some of the top golf courses in Las Vegas, so would attract golf players. In addition, it is fancier than many surrounding hotels, which also adds to its appeal for it’s target audience. 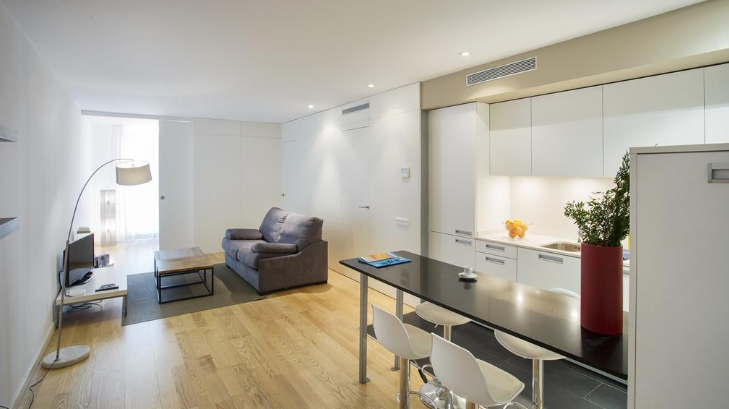 In Barcelona, hotels situated in the city center attract people who want convenience. There are major sights to see, the airport is right there, and public transport is easy to find. In the area, Durlet Beach Apartments is a great option for families because it has everything for all family members, is close to the beach, includes a kitchen and because of its location, it’s easy to get transport for entertainment that is not in walking distance. Location, location, location. So…first, get the town right. Forbes offers a unique take on the first step to finding out if your ideal town is going to be right: using the model of hotels like Hampton Inn, Holiday Inn Express, Courtyard by Marriott and Fairfield by Marriott, find out first if those hotels in the town of your choice are charging at least $110 per night as their best available rate; if not, that town will probably not be profitable for your hotel. The next most basic thing to analyze is whether you can offer something in that town that’s missing from other hotels in the area, especially the franchised ones like Holiday Inn and so on. Lastly, the street you choose as your premises must cater to the needs of your target audience. Does your hotel need to be close to a train station? Is there entertainment in walking distance? What does the town offer your guests and how will guests get to where they want to go? In this step of your research, you’ll need to determine the type of hotel you would like to start, and you should have an idea of what you envisage from the visualization exercise you already did in an earlier section of this article. Now you need to jot down your visualization on paper to make it real. For example, how many rooms would you like, will the hotel be considered luxurious, or will it focus on affordability, or location, and so on. If you’re strapped for cash, refer to the section that discusses ideas to start a hotel on a limited budget. Also try these brainstorming tips to find ways to start a hotel using the resources you already have. Determine the ideal location for your hotel. Location is of extreme importance when starting a hotel, because people will book when the location is right. And of course, location depends on the audience you will want to attract. Business people need a location that is more central, or where it’s easy to get transport. Families will want things they can do together which are not too far from their accommodation. Couples may want to rekindle the romance with beach walks, horse rides and fun things like bungee jumping. Get the location right and you’ve won half the battle for getting booked out. Determine whether to build your hotel from scratch, buy an existing hotel and renovate, or buy a franchise hotel. To get an idea of costs, speak with architects and others who will be involved in building/renovating your hotel. Now that you know your target audience and what type of hotel you’ll need to attract them, you can begin researching your competitors (which we’ll discuss more in the section after this one). You’ll want to find out how much they charge to give you an idea of what you should be charging, as long as you provide similar services. Pricing too low or too high can be lethal; Little Hotelier offers 5 smart pricing strategies for smaller hotels. Start with competitor research (more on this coming up). Get a feel for what other hotels, B&B’s and guesthouses are doing and what’s working for them. Visit them and simply observe and make notes. While you certainly want to make your hotel unique, and your aim of visiting competition is not to copy them, there is no better way to understand the authenticity of the industry than from checking out your competition, not in a competitive way, but rather for the purposes of understanding. Find similar types of accommodation to what you would like to build. The easiest way to do this is by doing an internet search with the formula phrase “[accommodation type] + [location]”. I.e., “guest house Rotherham”. Refine your search as you go. Make a list which includes establishment name, rates, services and special notes. Bear in mind that just because they have a website does not mean they are doing well, so don’t copy, just get ideas and observe. Add your name to competitor subscriber lists so that you get the emails they send. Network with competitors at exhibitions and groups they attend. Listen more than talk so you can take it all in. Pay for data that will give you answers. Your target market will determine your Unique Value Proposition (UVP). But what exactly is a UVP? Essentially, what a UVP does, is tell prospective guests why they should pick your hotel, and does so with the least amount of words, providing understanding of what your hotel offers, in 10 – 20 seconds of reading it. It is understood within 10 – 20 seconds. What makes your hotel unique stands out. It does not include useless and overused words and promises, like, “your satisfaction guaranteed”. It clearly states the benefits of selecting your hotel. Now, most businesses boast fancy UVPs, but they are meaningless. An effective UVP will drive every decision and behavior of the organization, and most of all, it will convey, within seconds, what you offer that is different to your competitors. Remembering that your guests will book into your hotel as a solution to either avoiding pain or to enhance feelings of pleasure, why will your guests want to book with your hotel? What will it offer that your competitors won’t? Blue Magnetic Interactive provides help with how to build a meaningful UVP. You’ve raised the capital you wanted, and built your dream hotel. And yes, it’s a masterpiece. But if nobody knows about it’s existence, you won’t get guests. Marketing is key to generating revenue. Keep your primary audience in mind when developing your marketing plan. Get inspired! 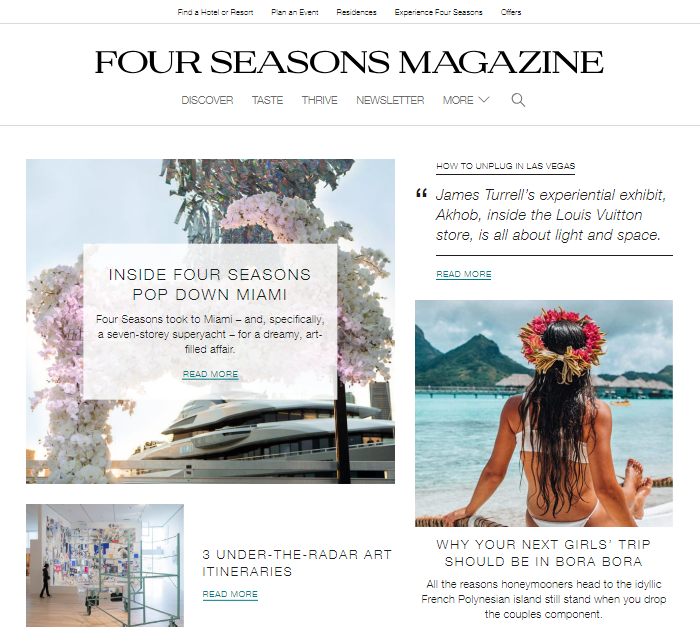 Here’s one example of a great marketing campaign: Four Seasons provides an online luxury travel magazine with high quality articles and good resources. It includes subtle but effective marketing to encourage readers to take action like making a booking. The launch of your new hotel requires a separate marketing plan wired to get people excited. You can offer special discounts, or think up other exciting promotional ideas. Dana Communications discusses pre-opening marketing ideas for new hotels. You will need to consult with local government to understand zoning and permits for hospitality, and to get an idea of what it will cost. If your circumstances allow it, and you have a rock solid business plan, it would be a good idea to raise startup capital. Take out a small business loan. Get expert tips for improving your chances of getting a loan. For big ideas that are sure to make a lot of money, find angel investors who would be keen to get a share of your hotel business. Geekwire offers advice for pitching to angel investors. Look for venture capitalists who can also offer valuable advice. Find out how to find funding with this method. Another idea is to set up a crowdfunding campaign to get small amounts from a lot of different people. Get tips to do it well. Enquire about incubators to help introduce you to potential investors. Entrepreneurmag offers guidance on what incubators are. Yet another avenue is friends and family – you never know who will believe in your idea. Be sure to treat them as an investor; avoid the temptation to be sloppy in presenting to them just because they’re friends or family. When asking any avenue for money, either as an investment or loan, make sure you are prepared and clear about the numbers. This is important because it’s the first clue as to whether you will make a good business founder they can trust. Create a strong, well thought out plan and then present it to investors and lenders to raise the required funding. It is vital to show confidence and that you’ve given your idea enough thought. Remember that people are only going to help you if they believe your hotel will make money, and if they trust that you will be able to lead your hotel to profit. Bear this in mind always. Depending on which option you’ve chosen, whether to buy land and build, or purchase an existing structure and renovate, you now need to find the right premises. In this step, you’ll prepare the premises for guests, and then furnish it to attract the type of people you aim to target. Start by finding out what room amenities most hotel guests really want. Recruiting people to help you achieve your vision is one of the most crucial steps to making your hotel run by design. Using your UVP, it is now time to consider the kind of organizational culture you want in your hotel, because you must not recruit staff until you are clear about what type of people you want running it. You can always train, but you can’t always find people with the right characteristics to build the right culture. Just as you created a guest persona, so you should create a staff persona, so you know exactly what to look for. In order to find the people who possess the characters most important to you, get help from a professional to create personality tests. If you’ve never hired hospitality staff before, do some homework about the essentials. The first staff member to hire will depend on the vision of your hotel, as well as the most pressing, urgent tasks. Ideally, you’ll start with a marketing manager to help grow the hotel fast, and a project manager who can assist you in getting everything going. Taking your business plan into account, you’ll now consider which systems need to be put into place to make tasks more effective and productive. At the top of the list will probably be your reservation system, and then other software like accounting, marketing automation and so on. Our best suggestion is to think up wish-list processes, and then find the software to fit those best case processes. For example, you may have thought about how to make it easy for people to book with you, and one such way is to use a hotel app builder. A good idea is to bring a professional process management consultant on board to help. Alternatively, Greenice gives an overview of how to develop customised hotel management systems. Be sure to train your staff to follow processes, and empower them to deal with guests, and handle complaints. Equip them to do whatever it takes to satisfy the people who stay in your hotel. Hotelogix provides guidance around how to train guest facing staff. Voila! D-Day! Here’s to opening your doors and being flooded with guests.